RRB ALP Result 2018 CBT 2nd Stage announced on 6th April 2019. 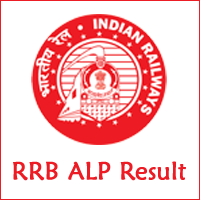 Also, check your RRB ALP Revised Result from the link provided below. Read the complete article to get whole information about Railway Recruitment Board RRB ALP CBT 2 Results 2019. Download the RRB Assistant Loco Pilot Marks List from this page. Also get complete details such as RRB Group C Merit list, and Cut off Marks from this article. Intenders can also refer to the official website of the Indian Railways @ www.indianrailways.gov.in to know the complete details of the RRB ALP 2018 Result. 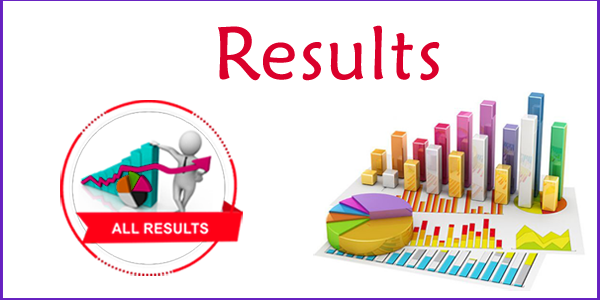 Latest News on RRB ALP CBT 2 Result Date: Railway Recruitment Board released the RRB ALP CBT 2 Results on 6th April 2019. So, get ready with your login details to check RRB ALP Stage 2 Results. Have you attempted the RRB ALP Examination 2018 and searching for the RRB Results 2018??? Then you are on the right path to know your Indian Railway Assistant Loco Pilot result. Because we provide a direct link to download your RRB ALP CBT Stage 2 Result 2018. Generally, all the participants who wrote the RRB Examination 2018 for ALP Posts search for RRB Asst Loco Pilot Final Result 2019. Therefore, contestants can collect their marks and download their RRB ALP Group C Merit List from this page. We also suggest the candidates prepare for further rounds instead of wasting time for the Railway Group C Result. Because you have to take part in the second phase of the recruitment process. If you go on wasting time for the RRB Loco Pilot Result, then you may lose your time for the next level of a selection process. RailwayALP 2018 Exam dates 09th August to 04th September 2018. Dates to Raise Objections in RRB ALP Official Key 21st to 25th September 2018. Revised RRB ALP 1st CBT Result Date 20th December 2018, 08:00 PM. Second Stage ALP CBT Date 21st, 22nd & 23rd January 2019. Tentative Final Document Verification Dates February 2019. After the Board RRB announces the Final Answer Key, released RRB Result 2018. After two months of the conduction of RRB ALP Examination 2018, board releases RRB ALP Result 2018. So, the board after releasing result, candidates can check their result through online from the link provided at bottom of this page. And we also mention Answer key and cut off marks details. Therefore, interested aspirants can also verify his/her result through this information. The individuals should check their answers through the answer key, verify whether you have reached the cut off marks or not. Do not waste more time to know the result, instead get ready for a further selection process. Here is a Great News for those candidates who are all eagerly browsing for the RRB ALP Result date. Railway Recruitment Board almost completed the valuation process of the Group C Computer Based Test. So, soon the RRB ALP Sarkari Result announced at the respective RRB Official Websites. Indian Railway Board releases region wise, as well as category wise cut off marks. The range of cut off marks varies from region to region and from category to category. This RRB ALP previous year Cut Off Marks are provided on our page along with the RRB ALP 2018 Expected Cutoff Marks. Railway Recruitment Board released a notification to recruit the candidates for Assistant Loco Pilot Jobs and also invited applications for the same. The Officials of the Board recruits 64,371 eligible candidates. The application process is done in online mode through the regional websites of the RRB’s. All the interested aspirants submitted their applications in online mode and also participated in the RRB 2018 Examination. All the participants appeared in the RRB ALP 2018 Examination are now waiting for the RRB ALP Sarkari Result 2018. Read the complete article, to get the RRB Expected cut off marks, merit list details. To know the latest updates visit our site www.rrbrecruitment.co.in regularly. RRB ALP Merit List is the list of selected candidates for 64,371 Assistant Loco Pilot Posts. For the sake of aspirants who are excited to know the RRB ALP 2018 Result, we provide a direct link to download Indian Railway ALP Selection list. RRB ALP Merit list released after the release of the Result. Merit List contains the selected candidates roll no, Names. Therefore, whose names are in the merit list are eligible for a further selection process. Officials of the Railway Recruitment Board declares RRB ALP Exam Result on their official website. Some candidates do not know how to download RRB ALP scorecard. To help those aspirants we are providing download steps here. So, follow the below steps to get RRB ALP Results 2018 card. Take Hardcopy of this RRB ALP CBT 2 scorecard. We think that the aspirants are satisfied with the data provided in the article. The above information makes you know your Railway Recruitment Board ALP 2nd Stage Results 2018. Follow our site regularly, to know the latest updates on Indian Railway Jobs. My name, Akash bhil , My exam status? Plaeg sent me massage, my exam no. I am attend 41 question in kolkata zone .any chance stage 2? When RRB publish the results of ALP technician CBT test ? Sir y revised hokar result KB TK ayega…….